Catholic Pontiff, Pope Francis 1, has said the 21 girls of the Government Secondary School, Chibok, Borno State, who were released by the Boko Haram abductors on Monday last week, need experts to rehabilitate them. The 21 girls were among the over 200 pupils of the GSS, who were abducted on April 14, 2014, by terrorists from their school in Chibok while preparing for the West African Senior School Certificate Examinations. The Pope, who was represented by the President of Pontifical Mission Societies (Nigeria), Rev. Fr. George Ajana, said this during this year’s World Mission Sunday at Our Lady Queen of Nigeria Pro-Cathedral, Area 3, Abuja. 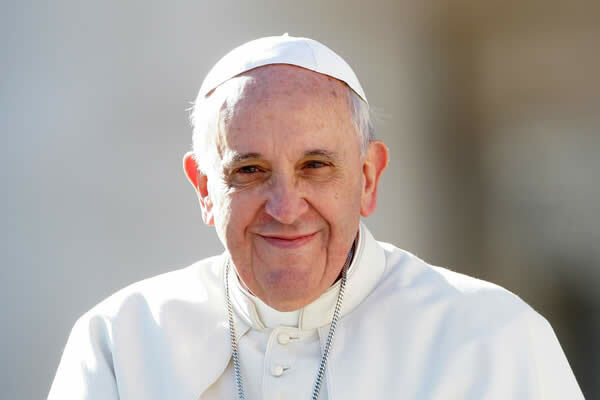 The Pope stated, “The release of the 21 Chibok girls is victory, it is a very good sign and we are thanking God for it that some of the Chibok girls were released. Nigerians have been celebrating all this while, the church joins them in the celebration and we are one with them. So, we first of all thank God that a few of them, just 21 were released. “The Chibok girls need medical assistance; the government is doing that already. They have been taken to hospital. I think they will need psychological rehabilitation. The government need to bring in experts to stabilise them because they must have gone through a lot of trauma. “Now, coming back, I don’t think they will be their normal selves any longer. So, the Chibok girls need to be psychologically brought back to their real life. And we need to pray for them; the church will be very happy to do that.